What's up everybody! Today I've got a decklist that I've been using since the release of Witchwood when I fell in love with one of the new cards and the memories it brings back of an older card from a previous set. I'm talking about none other than Baku the Mooneater who reminds me a lot of my first golden legendary, Justicar Trueheart . 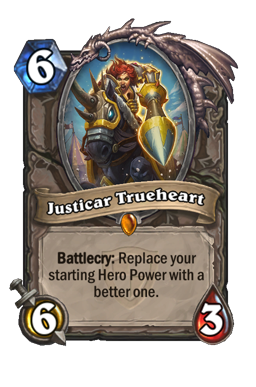 When I was doing my review of the cards I knew that this was going to be a new deck archetype because the power of Justicar Trueheart when she was around made Control Warrior very strong because of how insane having a 4 armor hero power is, so I figured it would make a comeback. The other reason I like this deck right now is because it works really well in this current meta of aggressive decks like Aggro Paladin and Spiteful Druid/Priest. Because those are minion based decks, it's very easy for this deck to get the upper hand by setting up a really good Brawl or reckless fury. The matchup against Cubelock isn't really great but I've still gotten a few games on them. Right now I'm sitting at a healthy 65% win rate with this deck so it's definitely viable to run you up the ranks. I'll admit I haven't been playing much lately but even with just a few games I've managed to hop up to Rank 4 with ease. The deck focuses on two main cards that you will need in order to use this deck, Baku the Mooneater obviously to make your hero power insanely good, and Fire Plume's Heart which is great for this deck because it always gives you a 1-drop to play right away and works really well with the Control feel of this deck. As long as you have those two cards or can craft them, you can probably make this deck pretty easily even if you don't have a few of the epics, you can substitute a few other cards that I have listed below in the alternate choices section or just run more Taunt minions. Let's check this deck out! The goal of the Warrior Quest is to get 7 Taunt minions into play. This deck actually doesn't run a lot of Taunt minions because the few it has are really good and can eventually flip the quest on their own, but if you feel like running more Taunts just substitute them for Frothing Berserker and Mountainfire Armor . 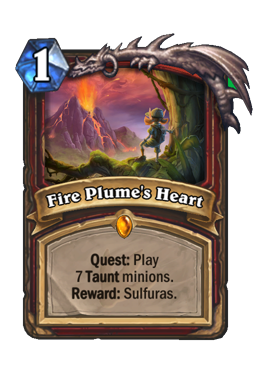 Fire Plume's Heart : Pretty easy card to play in the deck, drop it right away on Turn 1 and start playing those Taunts when you can. 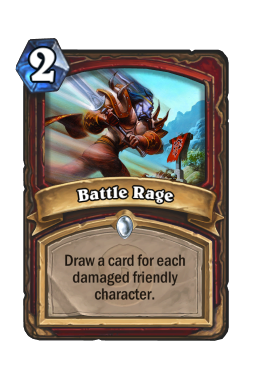 Don't feel like you need to rush this card though, take your time playing Taunts and control the game and let it come naturally in time. Keeping your armor up is a priority over flipping this to the Ragnaros ability. Once you've got a solid control on the game is when you should play Sulfuras and start getting aggressive. 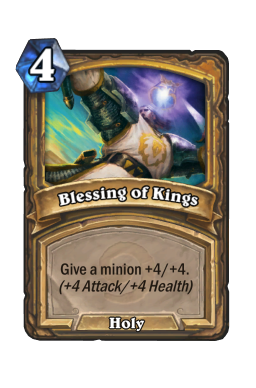 Another thing, if you're playing against Aggro Paladin, a lot of people have been saying that they like to mulligan this card away and getting the extra card since it's a very tough match. I've done it a few times to test it out and while the extra card does help, I still think I prefer having this in my hand. My rule of thumb is, if you don't have a Brawl or Whirlwind before your mulligan and really need to get one of those, or a Reckless Fury, that's when I would mulligan this away just to make sure you have one of your good board wipes. 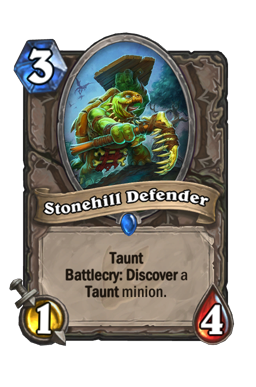 Stonehill Defender : Another great card for the deck because of a few reasons, one it acts like Phantom Militia in that it is a single card that plays two Taunts for your quest, so it allows your decklist to run less Taunt minions. 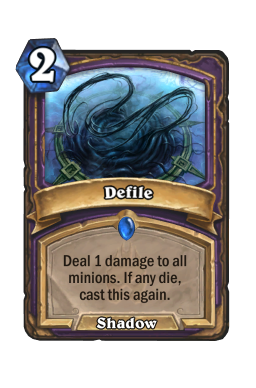 The other good reason is that this minion can Discover even-cost minions that you can't normally run in the deck such as The Lich King , Primordial Drake and Saronite Chain Gang . Must have for any Quest Warrior decklist. 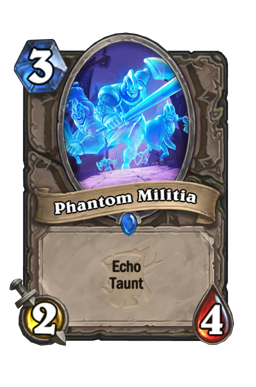 Phantom Militia : This card is what allows my decklist to run a lot less Taunts than most others do. I almost never play it as just a singleton, I think I've done that once against Aggro Paladin, but I usually prefer to play it on Turn 8 as two minions and using my hero power with it, or on Turn 9 as three minions. I love this card in the deck since I can focus the rest of the deck on spells and even a little bit of aggression since this card alone can pretty much flip your quest. Tar Creeper : Not much to say about Tar Creeper except that it's just a great early Taunt minion that can kill off most things attacking it. 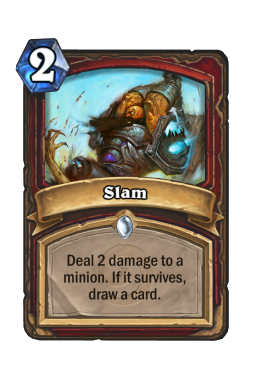 Pretty basic card but one of the best Taunts in the game in my opinion. Baku the Mooneater : I put this here because I couldn't figure out where else to put it. Not much to say really, have it in your deck so your hero power is upgraded and hope you don't draw it. 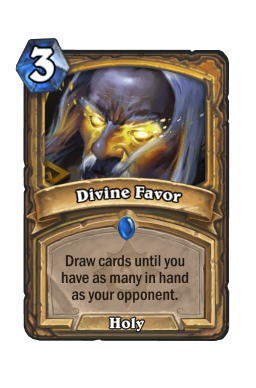 The problem with drawing it is that there is no good time to play this card, since you'll almost always prefer to use your hero power and cast something else. For 9 mana it's not a great size to pose a threat and should really only come down when you're really desperate. These are the next important cards in the deck because the current meta is very minion-based and it's important to have a lot of board wipes to handle all the minions. It's important to learn to conserve these cards and wait for the right moments to get a big board swing. 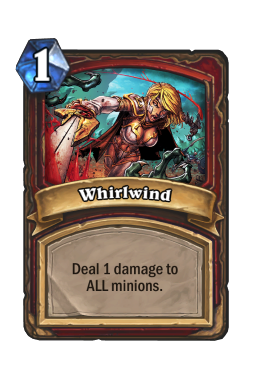 Whirlwind : While not necessarily a board wipe, in this meta it actually kind of is against the current powerhouse of the meta, Aggro Paladin. If you see your opponent getting a ton of little 1/1s out, make sure you Whirlwind them away before they can Level Up! 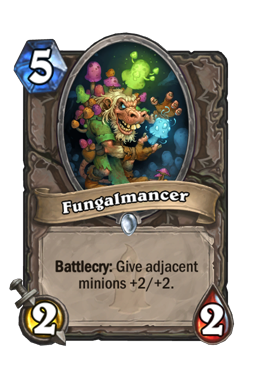 them or Fungalmancer them. 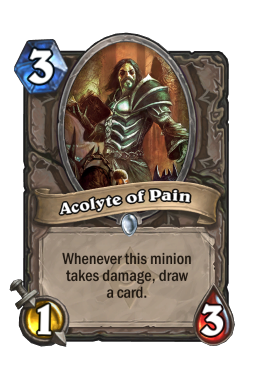 This card also combos well with the rest of the deck in a few ways: Acolyte of Pain can draw you a crap ton of cards, Frothing Berserker can all of a sudden become huge and put a hurt on your opponent, but the main combo I like to save it for is King Mosh since for 10-mana you can wipe the entire board with a Deathwing -like effect. A lot of opponents also don't see that coming so against decks like Cubelock, I like to use both Brawl s early and wait for them to play Bloodreaver Gul'dan and then surprise them with my King Mosh combo and wipe out all their demons and drop a huge minion into play. Reckless Fury: At first I was iffy about this card because it takes away your armor which can be bad at certain points in the game, but after learning to use it properly this card has become a very important card in the deck. 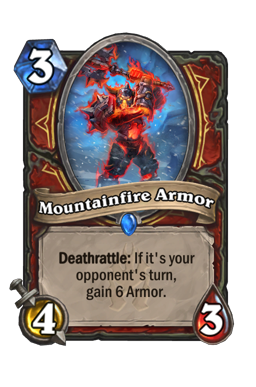 You should never worry about losing the armor because it should only be used in situations where your opponent will attack and remove that armor next turn anyways. Say you're sitting at 15 armor and your opponent has 10 damage worth of minions on the field, it might feel like a negative impact to lose all that armor to wipe the board but you were going to lose it anyways if you didn't. On the other hand, it might be worth waiting a turn and taking the 10 damage and going down to 5 armor, to see if your opponent plays more minions that way next turn you can armor back up to 9 armor and then Reckless Fury the board. 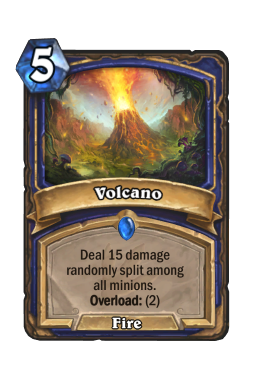 It takes time to learn to work this card but once you've got it down it can really screw decks over when they think they're too big to get board wiped, like Cubelock having two Mountain Giant s in play. 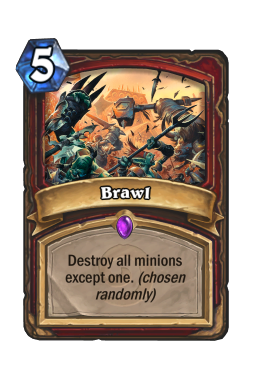 Brawl : Another pretty simple card in the deck that doesn't require much explanation. One thing though is to learn exactly when to Brawl . Sometimes it's better to wait a turn or two and take some extra damage while you armor up, in hopes that your opponent will over extend and play more minions which will give you better Brawl odds of removing what you want gone and leaving something small leftover. 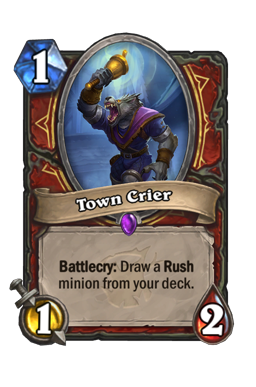 Another trick that you shouldn't be afraid to do sometimes is playing a Taunt minion such as Stonehill Defender or Tar Creeper right before you Brawl , just to give yourself better odds of removing nasty stuff. If your Cubelock opponent has two Mountain Giant s and a Doomguard in play, it might be worth it to drop even an Acolyte of Pain before you Brawl just to try and clear the board better, a 25% really isn't that bad. 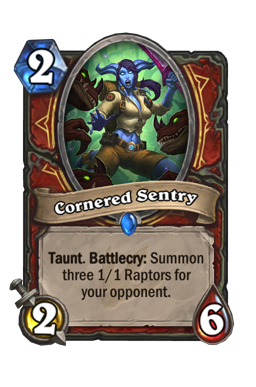 Another small trick I like to use is with Stonehill Defender , if you're lucky and you can pick up a Cornered Sentry earlier on, save it for your Brawl so that you can make stuff for your opponent and REALLY boost the odds of clearing the entire board. King Mosh : This is a card that surprised me when I started running it in the deck. At first I figured I would only combo it with Whirlwind but after playing the deck a bunch, I've found that this card works even great just by itself because of all the Taunt minions this deck runs. Playing Phantom Militia three times on Turn 9 and then attacking those Taunts into big minions next turn and setting up for a big King Mosh has worked really well for me and sets up a really good board. Obviously comboing with Whirlwind is the best but it's not always necessary. At first this card was a test in the deck but it's quickly become a favorite of mine. These are your basic control warrior cards that you'll need in the deck. 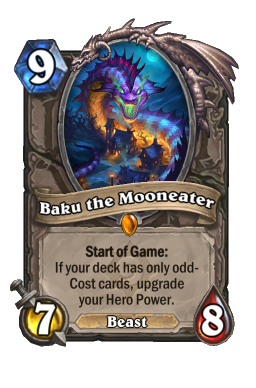 We're missing a lot of the good even-mana cards but it's worth it to have Baku the Mooneater pumping our hero power. The deck doesn't run much card draw so another important thing to remember is to conserve your cards and try to get the best out of your Acolyte of Pain when you can. The deck can't run Slam or Battle Rage so it's really lacking in the card draw department. 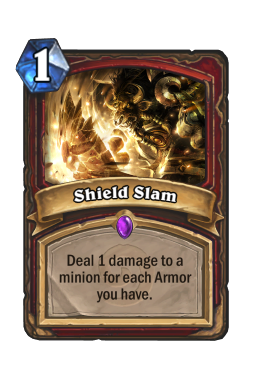 Shield Slam : A basic control warrior spell but amazing in this deck because of its ability to gain lots of armor really fast. 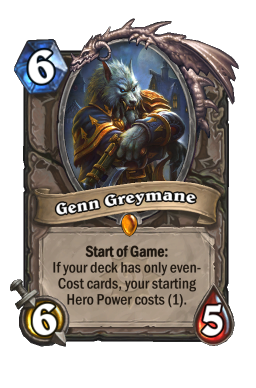 Cubelock has started to run Mountain Giant s again in their decklist and quickly getting them out, some Control Warlocks are even running Genn Greymane and using their hero power on Turn 1-2-3 and getting them out immediately. But with our ability to go Turn 2 +4 armor, Turn 3 +4 armor and Shield Slam , we actually have an answer to an 8/8 minion on Turn 3 which is crazy. Acolyte of Pain : This is basically in the deck just for card draw but has great synergy with this decklist as well as the current meta. 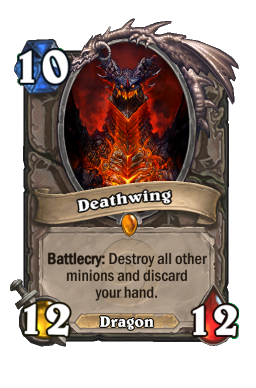 Aggro Paladin and Cubelock are your main enemies and little 1/1 minions as well as Defile make it really hard for your opponent to play those when you're sitting with an Acolyte of Pain in play, waiting to draw cards from those effects. If used just right, this card could be all the card draw you need for your deck. 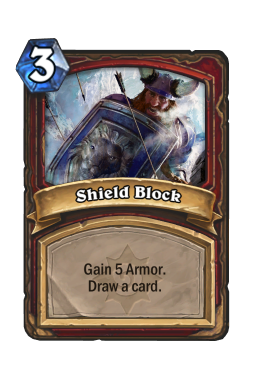 Shield Block : The card draw off this is great but the best part is the instant 5 armor you get. In situations where you need to regain armor fast for Shield Slam or Reckless Fury, this card helps out a ton and when combined with your hero power of 4 armor, there isn't much you can't kill when combined with those other cards. 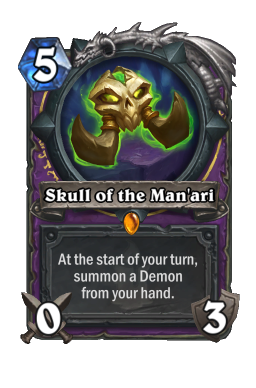 This card is also important if you decide to use your Sulfuras from your Quest early on in the game and flip your hero power over, since you will no longer be able to regain armor and making those other two cards kind of useless unless you can get one of these to go off. 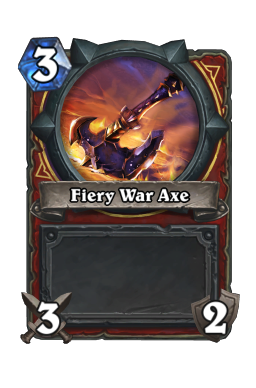 Fiery War Axe : Pretty much the only decent weapon you can run in the deck with an odd mana cost so here it is. 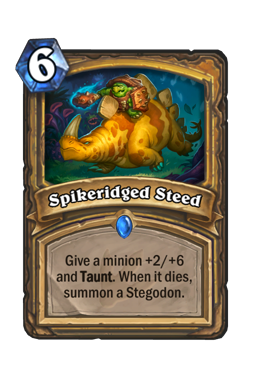 Not much to say, drop it early and kill a minion, very useful against the Aggro Paladin and Spiteful matchups since it can pretty much kill anything in its mana cost range. 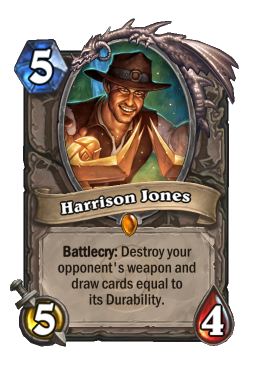 It's a good thing Blizzard decided to nerf this card and make it cost 3 or else this decklist wouldn't really have any weapons. If you're running the deck under a budget, the only required legendaries for the deck I would say are obviously Baku the Mooneater and maybe Fire Plume's Heart which you could possibly drop if you really want to run a budget but it's really good for a control deck. 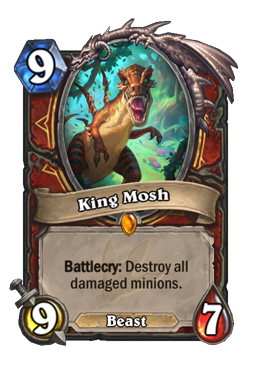 King Mosh and Elise the Trailblazer are good cards but aren't necessary in the deck so if you want to run something in their place here are a few options. Darius Crowley : I know this is another legendary option but on the off chance that you opened one of these and don't want to craft the other two older legendaries, he actually fits into the deck really well. 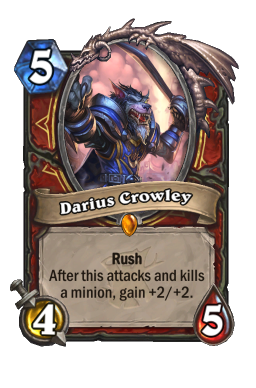 He also pairs up really good with Town Crier since it can come out early and fetch Darius Crowley . 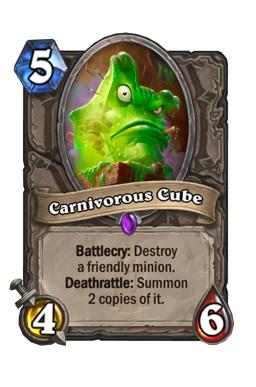 He's great for removing a small minion and immediately becoming a 6/6 on the turn he comes out. 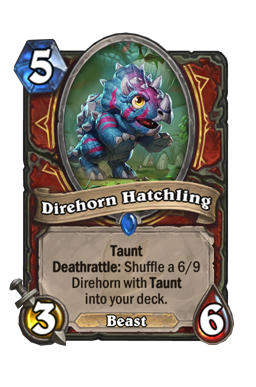 Direhorn Hatchling : Another good Taunt minion for the deck if you feel like running more Taunts. Mind Control Tech : This is currently a good tech card in the meta since there is a lot of swarm-based decks going around. 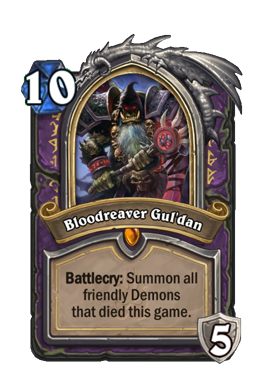 It works well against Cubelock since you're able to sometimes steal one of their important demons such as their Voidlord and also works good early against Aggro Paladin since you can steal a minion and also have a body to kill off some of the other small tokens. 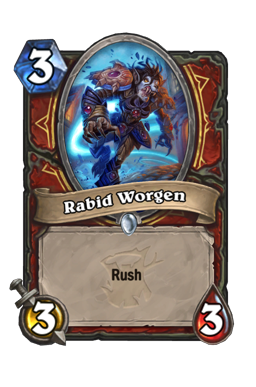 Rabid Worgen : This is another good Rush card that can be used as early game removal that also sticks around and has a decent sized body to put a threat on your opponent. 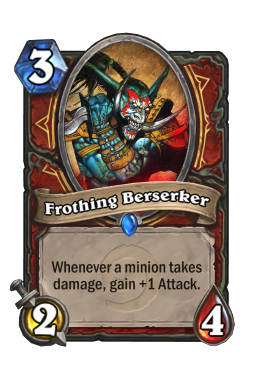 These can also replace Frothing Berserker or Mountainfire Armor if you don't like those cards but I preferred using them in my deck instead. Witchwood Grizzly : This is a Taunt minion I tested in the deck that turned out to not work so well. 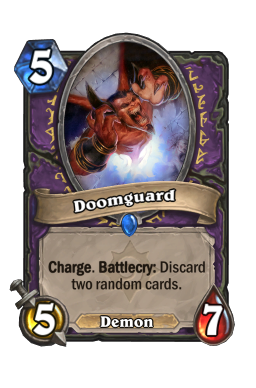 I see some decklists still running it because it's good against any decks that drop their hand but because of Divine Favor and Cubelock/Control Warlock, I don't see a lot of decks that go under 4-5 cards in hand making this a 5-mana 3/8 or 3/7 which isn't super impressive and even worse in certain matchups. 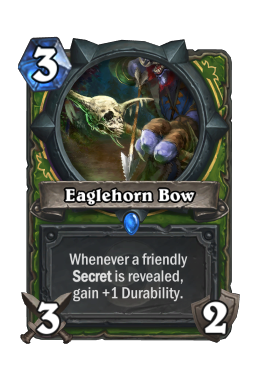 I tested the card and it worked a few times so it's not the worst, but there were a lot of times where I just didn't want to play it because it was going to come out as a 3/3 or 3/4 Taunt and it kinda sucked for 5 mana. AAECAQcGogLRwwLTwwLTxQLPxwKe+AIMS5EDogT8BI4F/wf7DJvCAsrDAsrNAsrnAqrsAgA= To use this code, highlight that string of letters/numbers and then right-click and Copy or press Ctrl+C to copy it to your clipboard. Then go to create a new deck and Hearthstone will ask you if you want to create a deck using your clipboard and it will autofill the deck for you! The main thing about this deck is that it's currently pretty good against the meta. A lot of my matchups were against Aggro Paladin, Spiteful Druid/Priest and Aggro Hunter, and this decklist just destroys those with the Brawl s and armor you can gain. Oh, Mage matchups are also really easy since you're able to just gain armor over and over and stay out of range of all their spells. The only bad matchup I would say is going to be your Control Warlock/Cubelock matchups but even then, not every game is an immediate loss, I've still gotten a few wins under my belt against them. 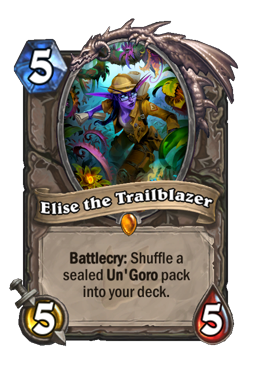 As someone that enjoyed playing Control Warrior back when Justicar Trueheart was doing her thing, I liked seeing this deck come back. It was definitely something I wanted to test out when I saw Baku the Mooneater and after trying it out and refining the deck a bit, I can say it's pretty strong in the meta right now and I haven't really wanted to play another deck besides it for the time being. It has a decent win rate and with enough practice I'm sure you could pilot this deck better than I am currently and quickly rise ranks. Well that's it for me today! I think next week I will be covering another deck guide, it might have to be one of the boring new meta decks such as Even/Odd Aggro Paladin or the new Control Warlock/Cubelock decklists, but even if you don't feel like playing those decks it's still important to learn what they're playing and how they play the deck so you know how to beat them. As always you can follow my progress on Twitter at @whoisfuskee to catch me when I go on stream or just drop by my Twitch channel at twitch.tv/whoisfuskee to catch me streaming pretty much every day now. 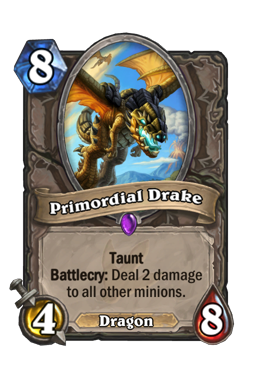 I will admit, I haven't been playing too much Hearthstone because this meta is still kind of boring with all the same decks from the last expansion, Aggro Paladin, Cubelock, etc. but I've been getting into Arena a bit lately and I also play Path of Exile for anyone that likes that game as well. You can also head over there to check out some of my Hearthstone videos because I've been playing a decent amount of this Control Warrior deck there and you can see it in action. I'll see you next week!